An Opera-Singin, Burlesque-Dancin, Blow-Up Doll lovin gal with mad booty. 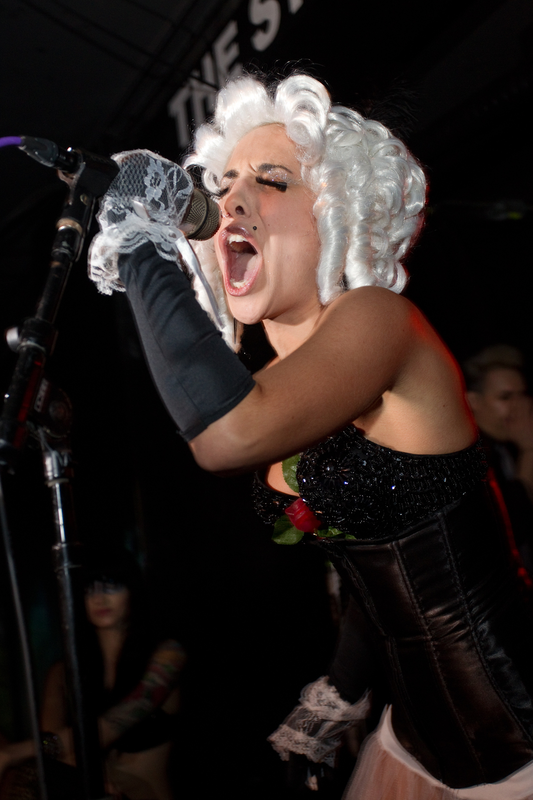 Sarah Screams is an Academy-trained opera singer who found New York in 2009, and quickly carved out a niche for herself in the gritty-yet-glamorous community of alternative performance art. Since then, she's been seen in the clubs, bars, and back rooms of the NYC underground, combining the beauty of classical operatic performance with the excitement of modern burlesque and comedy. Sarah is also the creator and producer of OPEROTICA, a variety show that puts a spin on traditional opera singing, proving to audience members just how diverse, modern, and subversive an art form opera can be—and always has been. Will her modern take on Opera change the world? Probably not. But it's one helluva good time. Metropolitan Opera, Slipper Room, Highline Ballroom, Webster Hall, Drom, Dixon Place, Barneys, and so much more.